Evening Primrose is a hardy, erect biennial or short lived perennial with a long reddish taproot, forming a rosette of oblanceolate basil leaves that can grow up to 1m high. From summer to autumn it bears large yellow, bowl-shaped lemon-scented flowers followed by downy pods containing tiny seeds. The flowers are produced on tall spikes - they open in the evening and only last until the following noon hence the name 'Evening Primrose'. Evening Primrose takes 2 years to complete its life cycle, with basal leaves becoming established the first year and flowering occurring the second. 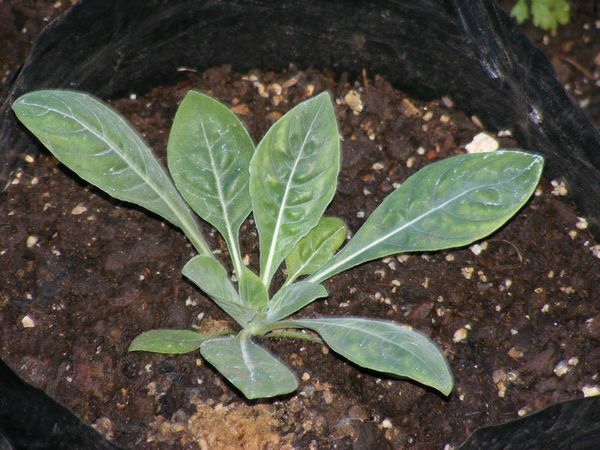 It is draught tolerant, needs full sun, prefers well-drained to dry soil and can grow in nutritionally poor soil. Seed can be sown from spring to early summer. Only the first year's root is used culinary - it is fleshy, sweet and succulent and has a slightly peppery taste, reminiscent of black salsify. It can be eaten raw, boiled like potatoes or used as root vegetables in bakes and stews. The young leaves can be added to salads or mixed with other milder herbs and be cooked and eaten as greens. The immature seed pods can be steamed or stir fried. The flowers are slightly sweet and can be added to salads or used as a pretty garnish. The leaves, stem bark, flowers and immature pods. Dig up the root in the 2nd year. Internally the leaves, stem bark and flowers can be used to treat asthma and digestive problems. A syrup made from the flowers can be made to treat whooping cough. Evening Primrose oil is very easy for the body to absorb - it can be used internally for premenstrual and menopausal syndromes, eczema, acne, brittle nails, complications of diabetes, alcohol-related liver damage, multiple sclerosis and hyperactivity in children. It helps to prevent blood clotting, dilates blood vessels, keeps the arteries subtle and reduces inflammatory auto-immune responses - making it useful in conditions such as rheumatoid arthritis. Externally the oil can be applied to dry skin, scaly and itchy skin disorders and brittle nails. Evening Primrose seeds are important as bird feed. Evening Primrose is used in skin preparations and cosmetics. The oil is combined with vitamin E to prevent oxidation. To counteract reddened skins, ground powder made from the flowering stems is used in face-masks.